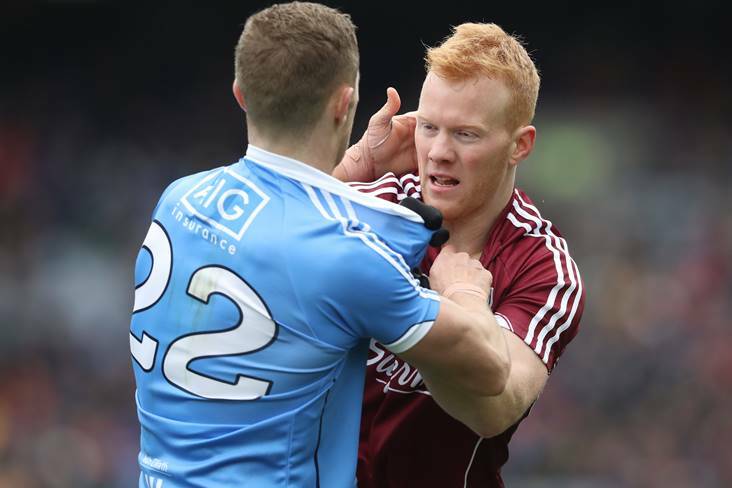 Dublin's Paul Mannion and Declan Kyne of Galway scuffle off the ball during their side's Allianz FL Division 1 final clash at Croke Park. Good afternoon and welcome to what was afternoon's action. There may have been just three games down for decision today, but all three were pulsating contests. Croke Park hosted the NFL 1 and 2 deciders, while Innovate Wexford Park was the venue for the meeting of Wexford and Kilkenny in the NHL semi-final. Roscommon and Cavan clashed in the NFL 2 decider and then Dublin and Galway renewed acquaintances in the NFL 1 final. Picking a winner from any of these games was not the easiest to do, and the scene was set for all three to be very close indeed. 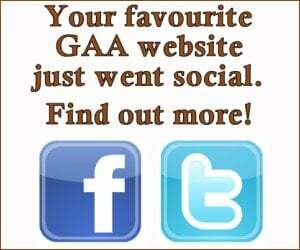 So to follow all the action as it happened on this Bank Holiday Weekend, just click here.